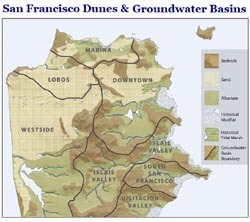 On this map, the current-day Lake Merced watershed is in orange. 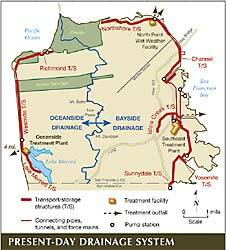 It has no surface outlet to the ocean, although the lagoon in the zoo roughly follows where the old outlet had been. 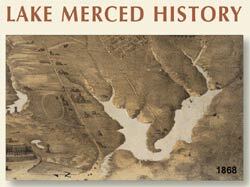 Lake Merced had a long history as a water supply for San Francisco. 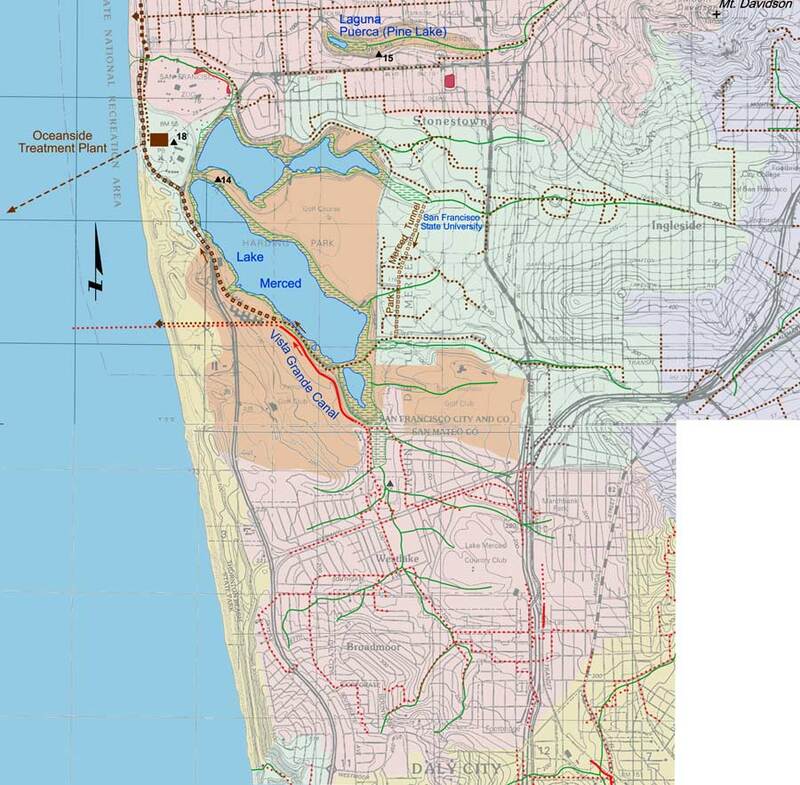 As the neighborhood developed, surface runoff to the lake became polluted. 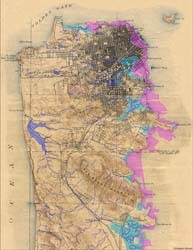 Consequently the southern portion of the original watershed (pink), and eastern portion (green) were diverted from flowing into the lake. 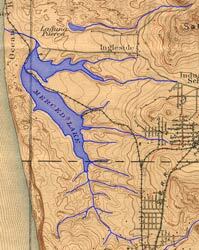 The green lines on the map show where all the surface creeks had been before being diverted. 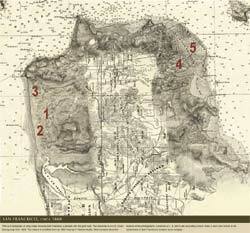 Today, what water finds its way into Lake Merced percolates westward to the ocean through the dunes.